Overweight is associated with severe health problems and premature death due to diabetes, hypertension, cardiovascular diseases and many other non communicable diseases. 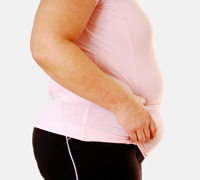 According to the WHO, overweight and obesity are among the five leading causes of death globally. Rates of obesity and especially childhood obesity have rapidly increased all over the world during the past two decades, and continue to do so in many countries. In 2010, about 43 million children under five were overweight. The associated health care costs for obesity related diseases adds to the urgency of finding ways to reverse this alarming trend. Evidence, particularly from the recent European Commission funded Early Nutrition Programming Project (EARNEST) coordinated by Prof. Koletzko and his team, confirmed that nutritional imbalances have a long lasting programming effect on later health and risk of disease. Based on this evidence the coordinating team at the University of Munich and their project partners have initiated the project EarlyNutrition. With its five year research programme starting in 2012 EarlyNutrition is the largest project investigating programming effects for health in later life worldwide.